The winds sweeping across the top of the ridge at the Mirador Condor were tremendously powerful. We hugged the ground to stay on top of the mountain. But despite the buffeting by the Patagonian winds, the view over Lago Pehoe toward the Paine massif was unforgettable. 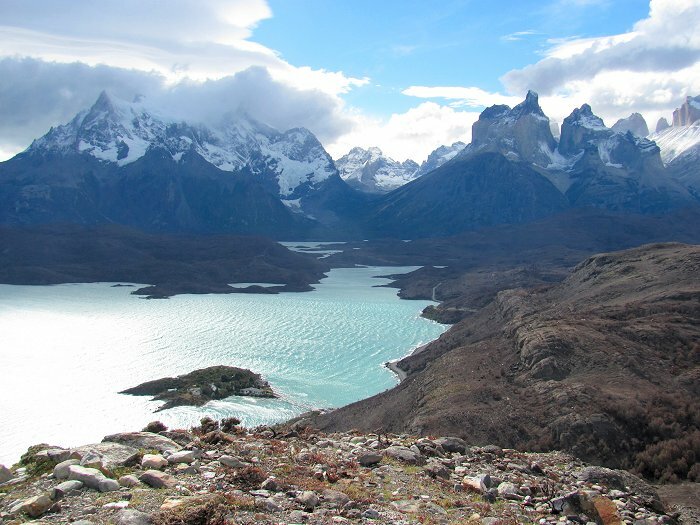 Cloud-capped Paine Grande (left) and the Cuernos del Paine (right). In between them, the French Valley.